Why do we have emotions? What are the bases of social behaviour? What is the relationship between the mind and the brain? How, and why, do we appreciate art? How do we make decisions? Are there biological foundations to ethical behaviour? Why do people follow religions, or believe in life after death? These wide-ranging, but important questions are just some of those considered in this exploration of the field of neuroscience, and how it can crucially inform our knowledge across a range of seemingly unrelated disciplines. 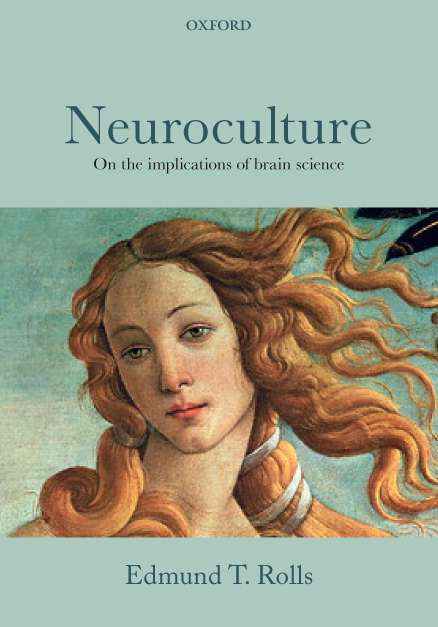 'Neuroculture' considers the implications of our modern understanding of how the brain works, how it was shaped by evolution, and how it can help us understand many mental issues central to everyday life. The book starts with a look at emotions and how they are important in our behaviour. It then considers social behaviour, looking at the adaptive differences between men and women. The next chapter considers emotion and rationality, and the mechanisms of decision making. In the following chapter, the author looks at philosophical issues, considering the relationship between the mind and brain, and considering whether the hardware/software distinction in a computer might tell us something about mind-brain interactions. The following chapter considers neuroaesthetics - the biological foundations of our appreciation of art - including visual art, literature, and music. Is art a useless ornament? After this, the author looks at the field of neuroeconomics - how neuroscience is informing us about how we make economic choices. The wide-ranging chapters that follow consider neuroethics - the biological foundations of ethical behaviour, neuropsychiatry - the connection between neural functioning and psychiatric disorders, neuroreligion - the possible biological foundations of religious belief, and neuropolitics - how our knowlege of the emotion and rational reasoning systems might help us develop strategies to solve political problems. Written to appeal to students and researchers across the biological sciences and humanities, Neuroculture will be fascinating reading for those in neuroscience, psychology, biology, medicine, economics, animal behaviour, psychiatry, philosophy, the arts - indeed anyone interested in why we behave as we do. Readership: Students and researchers across the biological and brain sciences, philosophers of mind, and those with an interest in economics and decision making.